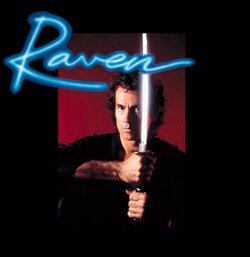 I'm posting an episode from the 1993 TV series, Raven, mirroring the airdate from 22 years ago. Jonathan Raven (portrayed by Jeffrey Meek) is a ninja, former member of the Black Dragons clan and also a former Special Forces agent. Now he lives in Hawaii, helping those in trouble and searching for his long-lost son, while avoiding assassins sent to kill him by the Black Dragon clan. Herman 'Ski' Jablonski (played by veteran TV actor, Lee Majors), an extravagant private investigator and Jonathon's best friend, is helping him. When Ski finds a boy who may be Jonathan's son, Raven and the boy go on a camping trip to a remote island, but trouble soon follows them. Happy 60th Birthday Arjarn Arlan Sanford! !